Report coming in from the Liberia Football Association (LFA) says the planned closing program of the 2016/17 season and the LFA Super Cup will not take place this weekend as earlier reported. According to the report, this followed an emergency Executive Committee meeting late Thursday at the headquarters of the Liberia Football Association in central Monrovia. The emergency EC meeting became necessary after tension ensured among top brass at the LFA on the postponement of the President Cup and First Lady Cup. 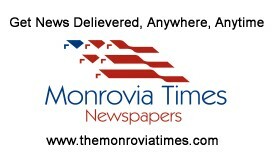 According to information gather by The Monrovia Times, Executives of the LFA met to harmonize the various tournaments including the president’s cup, First Lady’s cup, the 2018 one phase national league, the LFA Super Cup, as well as the 2016/17 league closing program. The 2016/17 closing program may take place next weekend or at a later date according to Executive Committee sources. The Executive Committee according to report is due to release a specific timetable for the staging of the 2018 competitions as well as setting a date for the staging of the closing ceremony for the 2016/17 league season. A source from the EC emergency meeting last evening said some Executives are against the staging of the Super Cup, while some want the match held. Our source said the protest involving LPRC Oilers and Mighty Barrolle is another issue creating a bottleneck to the commencement of the 2018 national league. The two clubs are still locked in word of words on their positions in the LFA. Both teams are not fully aware as to which league they should be competing in as the controversies surrounding an Oiler’s protest refused to come to an end. Earlier ruling into that Oiler’s protest relegated Mighty Barrolle to the second division, but the Red Boys took an appeal which they say went in their favor, but Oilers rejected that decision. Since then, the LFA has not come out clear on the controversies, which was recently reawakened by LFA VPO Wilmot Smith.